Thrive on impulse. 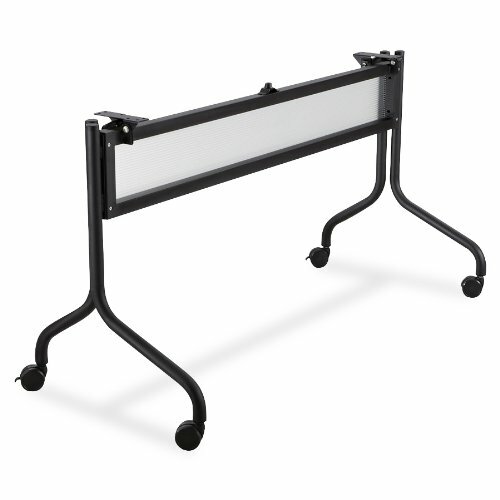 Impromptu Mobile Training Table Base (Top sold separately) creates unique combinations for training sessions or conference meetings. This sturdy table base is 29" high, constructed of 1 1/4" tubular steel. Base includes a full length polycarbonate modesty panel and is mobile on four dual casters, 2 locking. For Use with Safco Products Impromptu 60" x 24"D Rectangle Table Top Models 2066CY or 2066GR and 72 x 24" Rectangle Table Top Models 2067CY or 2067GR (sold separately). Complements entire Impromptu line of products.